One in ten people aged 65 and older in the United States has Alzheimer’s or a related dementia illness. Being a caregiver of someone with dementia can be tough. 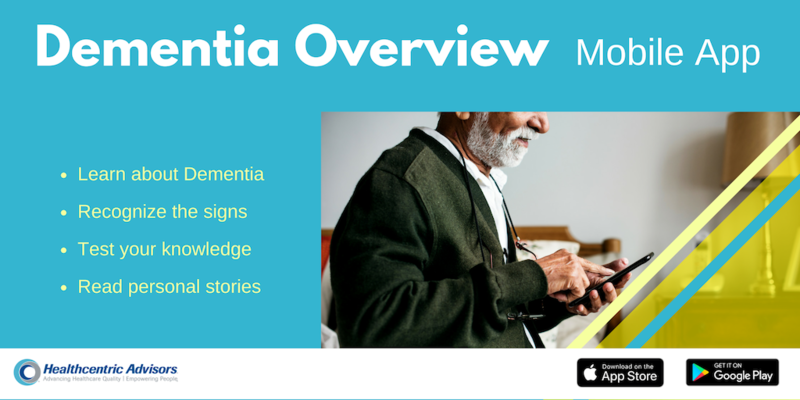 Our Dementia Overview mobile app contains information and advice to help family and professional caregivers understand and respond to behaviors seen in those with dementia.